New cars on the way this year! 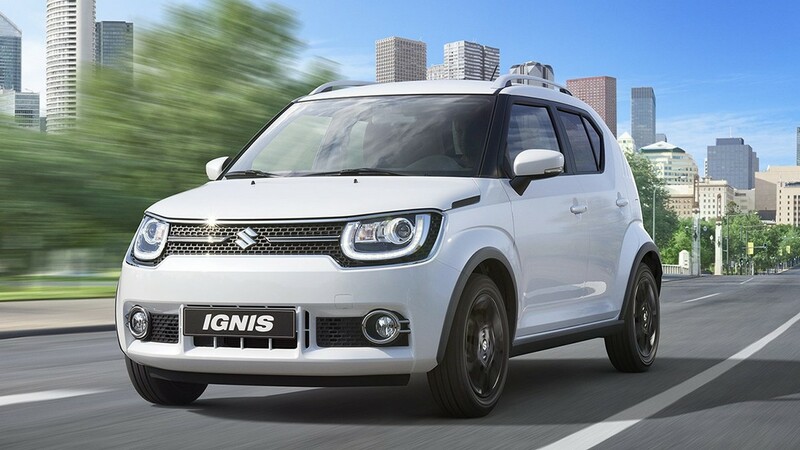 The Ignis marked Suzuki’s foray into the compact crossover segment that’s in vogue. The design of the Suzuki Ignis is in keeping with current market trends as far as compact SUVs go, with a boxy shape, flared wheel arches, chrome accents and large wheels and it is being classified as a micro-SUV. An eagerly awaited car in February is the new Chevrolet Beat hatchback called the Activ. It will feature a crossover stance with black cladding all around the skirts of the car, new front and back bumpers and redesigned roof rails. At the front, it is also expected to carry projector headlamps with LED daytime running lights and LED fog lamps. The trendy outlook is carried over to the inside as well, with body-coloured fabric accents incorporated with the interior trim. The crossover is expected to come with an updated feature list with automatic climate control and Bluetooth-enabled music system with audio streaming. The new Volkswagen Passat will make its way to India in the next few months and will go up against the likes of the Skoda Superb and the Toyota Camry along with cars like the Audi A3 and the Mercedes-Benz CLA. Expect prices to start around the Rs 20 lakh mark and go all the way past the Rs 30 lakh mark for the larger engined versions. The new Volkswagen Passat comes with a range of diesel engines. The base Passat has a 1.6-litre 120PS engine under its hood. The second one is a 2.0-litre diesel in two states of tune – 150PS and 190PS. Volkswagen also has a 240PS bi-turbo 2.0-litre diesel sending power to all fours. This version could make it here at a later date if the Passat does well this time round, according to Zigwheels.com. After having launched the uber-futuristic i8 hybrid sports car in India, BMW has now brought in its smaller sibling, the i3, in the country. The fully electric BMW i3 hatchback is lighter than most vehicles in its segment, yet offers significantly more space for up to four occupants. Motive power comes from a battery and motor combination that, when fully charged, has a range of between 128 and 145 kilometres. It is capable of attaining a top speed of 150 kmph and accelerating from zero to 100kmph in 7.2 seconds. The BMW i3 will also be available with a range-extender, which maintains the charge of the lithium-ion battery at a constant level en route, as soon as it falls below a specified value. This is performed by a two-cylinder gasoline engine with 34PS. The range extender increases the car’s maximum range in day-to-day driving to around 300 kilometres. The Audi Q2 crossover compact SUV will make it to India in early 2017 and will be priced between Rs 18-25 lakh. The new Q2 will of course come with both a petrol and a diesel engine although it is not sure which one of the three petrol and two diesel motors that are on offer internationally will make it to India. BMW claims that, over a period of three years, the maintenance and running costs for an i3 are about 40% lower than those of a comparable hatchback. In terms of external looks, the Audi Q2 is one of the most handsome compact SUVs to come out of the Q stable. The Q2’s design takes Audi’s current language and evolves it with a more aggressive look. The sporty bumper with silver accent pieces and the smaller but sharper LED headlamps make the front look great while the B and C pillars painted in a shade of gloss black give the floating roof effect. Stay tuned for more updates on upcoming launches. I love you my dear car! Going by tech trends you will soon be able to have emotional relationships with your cars. Yes, in the future everything will have a relationship with everything. Cars with people. Beds with thermostats. Washing machines with smarthome devices like Amazon Echo. 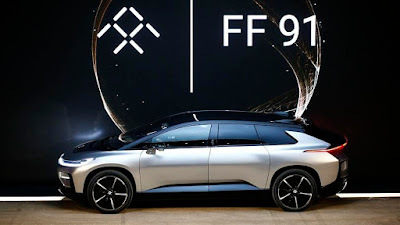 The Faraday Future FF 91, a family-sized electric vehicle with the acceleration of a Formula 1 car and a “brain” that will apparently be capable of learning from its driver, was unveiled at a media event recently, before Toyota and Honda took the concept of an intelligent car even further. Toyota showed off its “Concept-i” concept car, which it described as: “More than a machine. It will become our friend”. The Concept-i has an advanced artificial intelligence system called “Yui”. Yui is like a faithful dog, or a needy boyfriend. “Yui learns from us, grows from us, builds a relationship that’s meaningful and emotional,” Bob Carter, Toyota’s senior vice-president of automotive operations, was quoted as saying in The Guardian. Yui can tell when the driver is happy or sad and adjust the mood inside the car accordingly. It can even limit driving speed if its driver is feeling particularly sad. Honda showed that it is chasing the same relationship goals by unveiling its NeuV car. In the future Honda vehicles will “enable machines to artificially generate their own emotions”, the company said. Executives said the race to develop emotional vehicles was important because in the future – probably a long time in the future – all cars will drive themselves. What customers will seek then, car companies believe, is which car they can have the best relationship with. But the tech developments are not confined to cars alone. But most of the digital relationships are more sedate. The Sleep Number 360 bed reacts to a person’s sleeping position during the night, and claims to be able to prevent snoring. The LG Hub Robot – an Amazon Echo competitor – can interact with a fridge, washing machine, vacuum cleaner and oven. Interactivity is everywhere. Take the Onvi Prophix toothbrush. It has a camera that streams live video to a smartphone app, enabling the user to see inside their mouth as they are brushing. The video toothbrush comes with four different heads including a model for “people with crooked teeth". The Prophix is due to go on sale later in the year, priced at $399 (£322), which is a lot of money for a toothbrush. The launch of the “world’s first smart hairbrush” also drew attention. The “Kérastase hair coach powered by Withings” has a microphone that listens as you brush your hair, “providing insights into manageability, frizziness, dryness, split-ends and breakage”. It goes on sale in mid-2017 and will cost $200. Then there is Jyro, a one-wheeled gyroscopic skateboard and “the world’s most advanced massage chair” apart from the PowerRay, the underwater drone that will detect and take footage of fish, and controlled by VR goggles. The future never looked so exciting. Will electric car need insurance? “Yes,” of course say experts like Niall Edwards, partner at international law firm Kennedys. 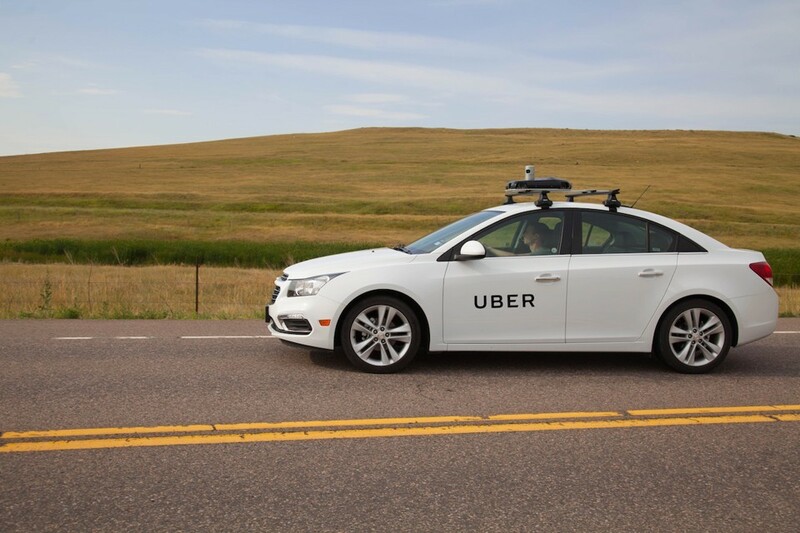 Fully autonomous vehicles are likely to be considered a different class of vehicle that requires addition al compulsory insurance cover, he says. “The most likely product will be a package underwritten by a motor insurer that the manufacturer offers at the point of purchase, use or hire.” One possibility is that new vehicles fitted with advanced-driver technology will automatically come with a form of product liability and extended cover provided by the manufacturer. Regulations on vehicle use will therefore need to be revised to allow the use of automotive technology without a driver and – crucially – to ensure that the technology is maintained correctly. Another expert argues that there’s a risk, initially at least, that pedestrians and cyclists may try to “test” AVs to see how they react. “In Singapore, they are currently testing autonomous vehicles in public parks and they tell us that the large majority of incidents [near misses] are not due to the vehicles malfunctioning, but to people jumping in front of the cars to test whether they stop in time," he added. Today’s AV sector is a crowded space. It’s estimated that at least 33 tech and auto corporations, ranging from Apple to Chinese bus manufacturer Yutong – via the likes of Audi, BMW, Google, Honda, Intel, Tesla, Uber and Volkswagen – are currently developing AV technology. With the $2tn global car industry in the throes of transformation due to a perfect storm of digitisation, AI/automation and changes in consumer behaviour – such as the rise of on-demand taxi services in urban centres – it’s not difficult to see why car manufacturers, tech companies and investors are scrambling for territory, fearful of being left out. “All this change creates both risk and opportunity for incumbents,” say experts. Some of them claim that since the car industry has historically only focused on the internal combustion engine and shell design, it has no chance against the tsunami of software moving towards their shores. Across the board, major players – Renault-Nissan, Ford, BMW, Daimler and GM, to name a few - are investing in and developing their own technologies, hiring talent or acquiring startups. From GM investing $500m in Lyft to the creation of Ford Smart Mobility, every single big manufacturer is looking to innovate and adapt. Besides, any notion of a race between tech firms and traditional car makers is a false perception, argues Accenture’s Luca Mentuccia. He predicts a surge of strategic cooperation instead. “We will see even more cross-industry partnerships for autonomous driving in the future in which car makers and a large range of tech firms from chipmakers to big data specialists, telcos and mobility platforms will work together. Are you driven by a desire to know more about driverless cars? We are glad to share basic facts about it. Experts believe that over the next decade, accelerating autonomous driving technology, including advances in artificial intelligence, sensors, cameras, radar and data analytics, are set to transform not only how we drive but the notion of car ownership itself. To begin with: The six levels of automation, defined under international standards by the Society of Automotive Engineers, range from “no automation” to “full automation and the majority of car manufacturers estimate the first highly to fully automated vehicles [AVs] will hit the market between 2020-2025. AVs will enable new service configurations where consumers are delivered door to door with virtually no stops in a comfortable vehicle with just one to three other passengers. Such services will be safer, reduce pollution and congestion, and will also bring about a paradigm shift in personal vehicle ownership rates, which are likely to decline steeply, according to an expert quoted in The Guardian. A recent survey of car manufacturing executives by KPMG similarly revealed that 59% of industry bosses believe that more than half of all car owners today will no longer want to own a car by 2025. Instead of today’s car ownership model, we are far more likely to rely on “mobility as a service” by 2030. "Imagine an Uber-like service you can summon at the touch of a button, but without a driver. Renting is not necessarily the right word – consumers will buy a service like using an Uber today, but with a wider range of vehicle configurations to suit different types of travel – family outings, long-distance sleeper travel, or shared commutes,” says the article in The Guardian. Will there still be crashes? A 2008 survey by the US National Highway Traffic Safety Administration found that human error is the critical reason for 93% of crashes. When you eliminate human error, our roads become dramatically safer: no more drink-driving, phone calls at the wheel, carelessness, inattention or plain bad driving. Clearly there needs to be adequate industry testing to ensure that AVs are safe for all other road users, but we can look forward to far safer roads as human drivers become a thing of the past. Will all cars be electric? The jury is still out it. Bosch is developing a lithium-ion solid state battery that they hope will double the range of electric vehicles at half the cost of today’s batteries, which will increase take-up among those who live in the suburbs and beyond. 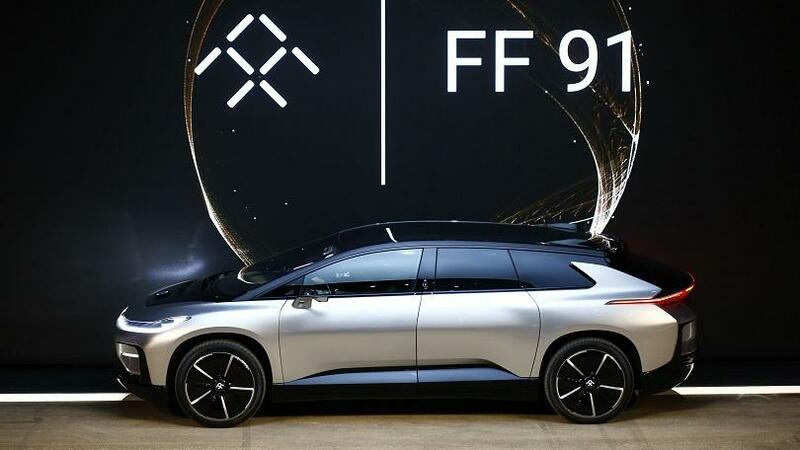 According to a projection by 2025, globally 15% of vehicles are going to have an electric component, whether that’s a pure electric vehicle, a plug-in hybrid or full hybrid. By definition, a driverless car has more control units, computing power, lines of code, and wireless connections with the outside world than a regular car today, which is why it may be more vulnerable to hackers. A hacker can potentially take control of the car, through exploitation of a weakness, and could cause the vehicle to refuse to start, or to crash, or it could exploit the privacy of the driver, and [their] data, including financial information. But experts are working on enhancing the security levels. From vertical take-off and landing “flying car” prototypes to “sidewalk robots” and delivery drones, by 2030 our roads and pavements may have begun to resemble a scene from Blade Runner. 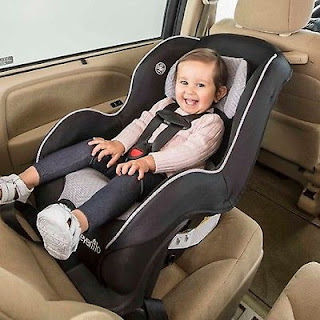 Sooner or later, the time will come to take your little one on the road. Good news — you can get him or her buckled up and ready to go in no time with these travel tips for road-tripping with babies. If you’ve carefully planned your trip and prepared your vehicle, you’ve already started out on the right foot. Now keep these things in mind as you make your way down the road. Put safety first. Make sure that you keep your baby in his or carseat. Many nursing mothers breastfeed their babies during trips. This can be dangerous in a moving car, even if you are both securely belted: You can’t foresee an accident, and your body could slam forcefully into your baby. Instead, pull over and nurse your baby while he’s still in his carseat. That way, when he falls asleep, you won’t wake him up moving him back into his seat. Remember: Never, ever leave your baby alone in the car – not even for a minute. Hit the road when your baby hits snooze. Got a baby who sleeps willingly in his or her car seat? Then you've got it made — just plan to do the bulk of your driving during her usual naptime. Pack for playtime. If your baby tends to be an (audibly) unhappy passenger (or your travel schedule is set so you’re on the road when she's wide awake), it's time for plan D: Distractions! Any time you’ll be driving with your baby, be sure to grab some of her favorite music and toys to pack in her baby bag. Or you can surprise her with new toys, too — the novelty will buy you a bit of extra time. Stay in your seat. Is your baby a pacifier fan? Try this car-safety solution for both of you — get a tether that clips her binky to her shirt or car-seat strap. That'll make driving with a baby easier (and safer) since you won't have to unbuckle and dive under the seats every time she's dropped her pacifier. Buckle everything up. Don’t put on the brakes after your baby’s been secured. Take this baby-travel tip with you: Keep everything strapped in. Use a tether or set of plastic links to attach some toys to the seat so she’s constantly entertained (and so nothing falls to the floor to cue crying). You can also fasten a lightweight, unbreakable mirror to the seat in front of her — as you’ve probably noticed, babies love a looking glass. Switch it up. If there's another adult on board take turns — one drives, one entertains the baby. Give it a rest. When it's mealtime, make a pit stop. You might lose a few minutes, but it’s much easier than dining and driving with baby. That’s a messy, complicated business, and it’s none too safe to juggle bottles, jars, and spoons while you're hurtling down the highway. Take bathroom breaks. Take advantage of rest stop changing tables to get your baby out of her diaper before you get back on the road. And when you travel with a baby, you also want to travel with a changing pad. It’s a must-have for covering those questionably clean public changing tables. For more safety tips or to get the best insurance at the lowest premium, click here http://bit.ly/2fU27FH or call 9003022252. What Is A No-Claim Bonus And How Can You Benefit From It? A no-claims bonus can shave a significant amount off your premium. If you make a claim on your policy where your insurer pays out, you’ll generally lose some, or all, of your no-claims bonus. Most policyholders are familiar with the broad concept of NCB but often they do not understand the finer details. Here we shed light on the key aspects of NCB available on renewal of policy. In broad terms, No Claim Bonus, is the insurer's incentive to the policyholder for not making a claim in the preceding years. That is, NCB ­ which is a discount ranging from 20­50% on premium payable cannot be claimed as a right but has to be earned by maintaining a claim­free record. premium paid because you have no claim­free record as such. You can claim a starting NCB of 20% on the first renewal of the policy provided there has been no claim during the past year. This discount increases steadily with every claim free year up to a maximum of 50% at the end of five claim free years. NCB belongs to you, not your car. This is the key feature of NCB ­Therefore, you get to retain your NCB if you replace your existing car with a new one or if you switch to another insurer at the time of renewal of the policy. NCB transfer is no rocket science: Assume you had purchased a car in 2010, which was then sold in 2015 on or after the 5 policy anniversary. 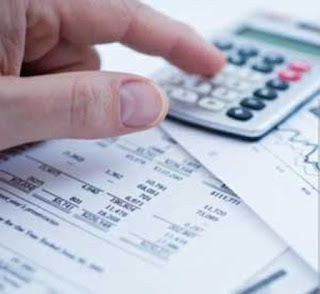 If you never made a claim during the period, you would have earned an NCB discount of 50%. Now, suppose you bought a new car in 2015 and the premium for this car's policy was Rs 18,000 (excluding service tax), out of which Rs 15,000 is the premium for the own damage component. You can transfer the NCB earned on the previous car policy to the new car policy and claim the NCB discount on the first premium payable for the new policy. But a person ­to ­person transfer is not allowed, except to the legal heir in case he/she inherits the car on the policyholder's death. Transferring NCB is a simple procedure. You have to submit forms 29, 30 (buyer­seller agreement form) along with the letter requesting for transfer of NCB to your existing insurer. Next, the insurer has to issue an NCB certificate, which is valid for three years and you need to submit it to your new insurer. If you are switching to a new insurer at the time of policy renewal for your existing car, you only need your last year's policy document or renewal notice that mentions the NCB you are eligible for. Do note the NCB discount is applicable only to the own damage premium component and not the third party liability premium, which constitutes 15­20% of the total premium. If you have only third party car insurance no NCB is earned irrespective of the number of years the policy has been renewed and whether any claims have been made or not. It is recommended that you do not make a claim for very minor damages keeping the NCB benefits in mind. You lose NCB even when you make a very small claim. You can safeguard your NCB with a protect add­on cover which is subject to certain restrictions. The maximum NCB policyholders are entitled to is 50%. For more information on NCB or to get an instant quote or to speak with an insurance expert, click here http://bit.ly/2fU27FH or call 9003022252.